This morning Z woke up extra special early. We had no coffee in the house, only tea. So only partially caffeinated-I sought to make an easy breakfast that we could make and eat together. 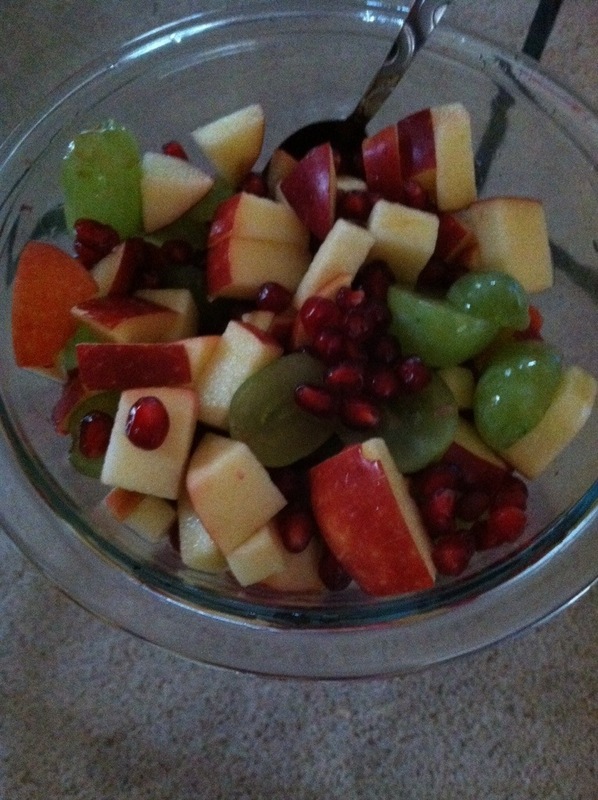 Luckily we always have some fruit in our house, Z was talking about cracking open the pomegranate, so fruit salad was inevitable. Z is soo cute! I developed an early love of pomegranates as a young child with my grandmother, Im glad Z likes them too!! sending you sunshine! !